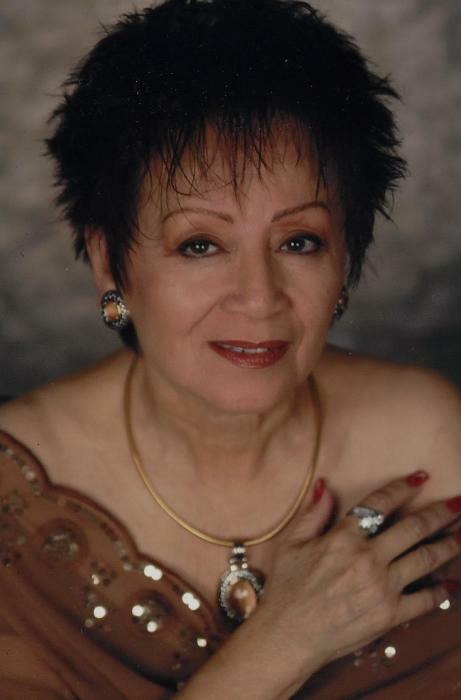 Bertha Hernandez, 68, of Mary Esther, Florida passed away on July 12, 2018 peacefully in her home. Bertha was born November 13, 1949 in Mexico City, Mexico to Viviana Martinez and Jose Barajas. Bertha enjoyed sharing her love for God and spending time talking with family and friends and helping those in need. Her laugh and sense of humor brought joy to everyone around her. She had a passion for music and dancing. She had a great sense of style and made every outfit count! She is preceded in death by her parents, Viviana Martinez and Jose Barajas. Bertha is survived by her husband, Armando Hernandez; her two sons, Vidal De La Cruz and Rick De La Cruz; three granddaughters, Desiree Ficarra, Celeste De La Cruz and Bryana De La Cruz; soon to be grandson, Andres De La Cruz; one great grandson, Finnegan Ficarra. A Memorial Mass will be held for Bertha at St. Peters Catholic Church, 100 Francis Street, Mary Esther, Fl 32569, August 4, 2018 at 10:00 a.m., celebrated by Father Paul White. A reception will follow after the service in the Parish Hall. Flowers have been provided.